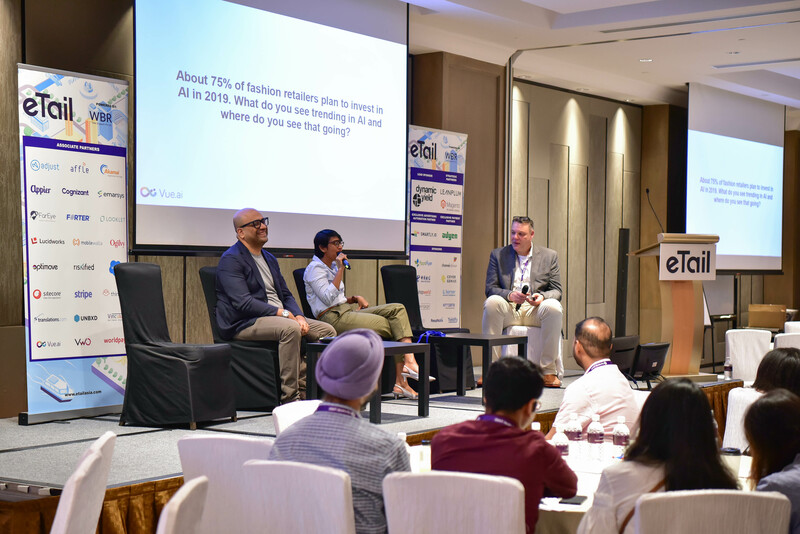 At eTail Asia, one of the largest ecommerce and digital marketing conferences for leading Asian retail innovators, Patrick Giusti, the SVP of Vue.ai hosted an incredible session ‘THE AI PROMISE: How AI and Computer Vision are trailblazing new paths for the retail sector’ with Marita Abraham of Zilingo and Anandamoy Roychowdhary, Director of Technology, Sequoia Capital. Here is an excerpt from the conversation. Patrick: Hello and welcome to the AI Promise. 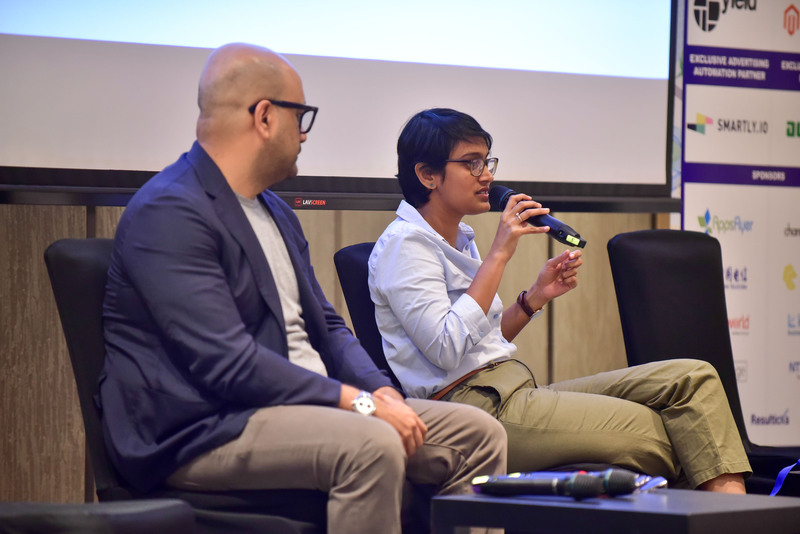 Today we are in conversation with Marita Abraham of Zilingo and Anadamoy Roy Chowdhary of Sequioa about how AI is paving new paths for the retail sector. So, can you guys talk to us a little bit about how you use the AI for your business and what you see as the outlook for brands? Marita: Hi everybody. I think before I start just so that the group has context – Zilingo is an ecommerce platform, we are connecting businesses in the fashion industry. Through technology, we are trying to make the supply chain for fashion and lifestyle efficient, globally. So in this context, AI definitely plays a big role because we operate within fashion and beauty where consumption is very visual and impulse-based. But at the same time, on the supply chain side, it’s again very relevant because we work with hundreds and thousands of SMEs and small businesses that are selling fashion and trying to compete in the global marketplace and yet don’t have the things required to be able to do that. So on both the consumer side and the supply chain side, we are leveraging Vue.ai’s technology to empower these businesses to do better. On the consumer front, it’s fairly straight forward, we use Vue.ai’s widgets to create recommendations and similar products. What I would love to talk about a little bit more is one of the products that we use – which is the auto-tagging feature. As a marketplace, what happens on Zilingo every day is that three to four thousand products are uploaded on the platform by merchants globally. All of these merchants don’t have the resources or the infrastructure to tag their products accurately. Sometimes they don’t have the language for it and would be using a ecommerce tool for the first time. So it’s quite challenging to be able to control the quality in that environment and how auto-tagging helps us is that 40% of our subcategories is actually now being populated through auto-tagging. We have seen that when we use this feature to show our merchants how they should tag products, 80% of our merchants actually end up using the tags that are auto-generated. So we’ve seen a lot of positive impact from that because it reduces the friction for small businesses to come online and at the same time, it improves quality to the end customer. So that’s one way in which it gives a competitive advantage because we do need data to be able to merchandise and segment our products. I think on the business side, there are definitely more applications which not just stick to fashion, but even in tools like financial services or cataloguing services, all of these tools definitely leverage things. Roy: The first part of it is essentially the Instagram nature of fashion, where people are much more concerned about how they look in a specific garment and outfit and the more you can help people visualise that before the point of purchase, the easier it is to actually sell up. This is something we learned through the way Zilingo was using Vue.ai – what Marita called a recommendation – and that it really helps people to put a look together. 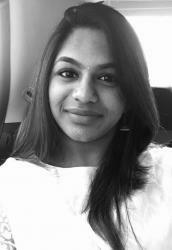 I have been actually super conscious of how I look every time I buy something, it drives a lot of my buying behaviour and I don’t think I’m sort of unique in that part. So I think that’s one really important part of AI, in that it plays into helping us sell more goods because people can visualise the end result much better. The second part is what actually matters – It’s this whole concept of being able to figure out a lot of data from a picture and then given data, actually generate a picture. So something that Vue.ai does is this whole concept of having a generative AI that can actually generate what you will look like when you wear those clothes from the data that the merchants are putting out. So I think those two things are big ones. Patrick: So back to you Roy. Research has shown that at least 75% of retailers have Artificial Intelligence applications and initiative on the road map for 2019. You are obviously in a unique position where you see a lot of technology, a lot of companies and a lot of ideas. Where do you think this is headed? Can you tell us a little bit about what those trends are? Roy: I think that 75% is underreported! Everybody perhaps already have AI on their roadmap. There are two things – We’re seeing existing retailers use AI more effectively, but we’re also seeing AI-first retail startups coming out that are using these existing new channels to push out more interesting product and it comes back to the two trends I was talking – which is just being able to help people visualize what the product looks like on them and using it to drive consumption significantly. Marita: Just to touch upon something that you said, I really liked what you said about Instagram because I think that’s another great application or an instant feature that we see, which is how do you look at search in the Instagram world of fashion? There are new terms and new phrases that are coming out every single week now because of something that’s trending on Instagram. For example, ruffles and sheer weren’t a thing a year ago but today it is everything. So how do you also use AI to train your search algorithms to be able to recognize these new and rising and dying search terms which allow your customers to shop better, shop more effectively? I think that’s also an interesting aggregation of how things will evolve in the future. We’re already thinking about it. We’re already thinking about how can we use image recognition and image search to track trends in advance and then be able to fulfil that desire on the platform. I think it’ll be helpful on the supply side as well. A small anecdote – we have a factory in Thailand and this guy is a jeans producer and he’s been doing this for two-three generations. and his production was going great – so he forecast that he would sell 10,000 units of these “dad” jeans. We went to his factory and his home – It’s now filled with six to eight thousand units of jeans because he didn’t forecast properly and dad-jeans went out of style. So the guy is stuck with inventory he couldn’t sell! He was begging us to dilute his inventory because his business is now at the brink of bankruptcy. If we can empower and enable these small businesses to use technology to forecast better and to reduce waste, I think that is a very positive impact. Patrick: Makes sense, great comments. Marita, this is a question for you. So when you think about AI and your business model, which is unique in a lot of ways, what are the ways in which you use AI in your business and how do you use AI when you work with smaller partners and merchants? Marita: One was definitely curation of fashion in an automated and scalable way. This is something that is relevant for our platform because as a hybrid marketplace, we have millions of products on the platform, so it is very challenging to be able to catalog and curate that effectively. So for example, if this week, a box neck is the new trend, how do I effectively curate my collections on the site so that I am able to show that to the customer at the point of sale or discovery? I think that’s something that we’re actively looking at – not just using this for search but also using AI to drive innovation and editorial collections. Like Roy had said, today is not the age where fashion is dictated by editors and designers; It is really dictated by people who are shopping and is dictated by social media. So it’s important to be able to take those trends and then be able to curate the collection in an automated fashion. So that’s I think one thing that is on the top of our mind and something we are actively solving for. Number two is as we started working with more and more manufacturers that are enabling these fashion businesses to do better, we’ve seen a lot of the bottlenecks that they face as they are scaling especially when it comes to forecasting and inventory management. These are the businesses that have like lines and lines and lines of production and stitching. A single pocket of a shirt takes 17 stitches. This is not an easy problem to solve, but we do feel like using AI and bringing like sort of an Amazon Go like experience but for manufacturing could be something very powerful. Patrick: So one of the things that we think and talk a lot about is this whole idea that historically some retailers had their top one per cent, but it might assign a stylist taking them personal recommendations. Where do you see the future of personal styling using potentially using AI? Marita: Great question. I think we are thinking about it as something that we experience as shoppers ourselves. For example, I would buy a black dress and then would have a black dress chasing me everywhere I go – it is just haunting me! I am like I already have a black dress, I don’t need another. So that is the thing we are trying to solve. I think that gets solved with recommendations and personalised product feeds and things like that, but then we started realizing that for example yesterday, I bought a black dress because I had a conference to go to and then I come back to the platform now, all I see is work wear and a navy blue dress and a green dress and they are all the same. We realized in fashion that buying is not so methodical; so you can’t use past behavior as effectively. It’s not a habitual thing, it’s a very impulsive decision, which means that today I might have bought a black dress and tomorrow I might want to buy sequin pants. We also feel like recommendations and personalization should be customized to the shopper’s mood – This is what social media has been doing for a decade now, your feed is personalised through your entire session because of your mood in that session, and that is very important. Roy: I think it is a lot more democratic now than it used to be where you could have a stylist basically set the tone and the style for an entire generation of women. It’s about collecting signals and trends across social media in real time, which cannot be done manually. We have to understand the context in which the person is shopping at that time and it has to be done with tech along with AI. Patrick: And that brings us to the end of our conversation. 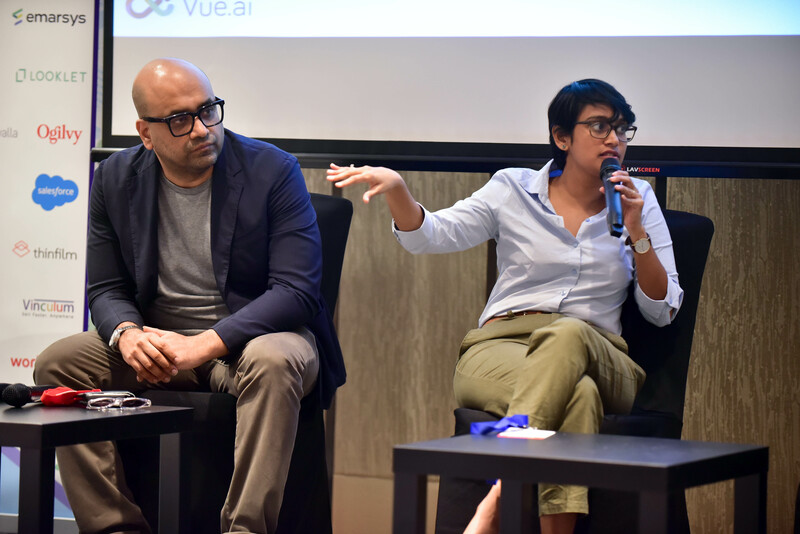 Thank you, Marita and Roy for taking time out to join us and really giving us some powerful insights about how retail should be working with AI.